This may shed some light on what the ancients saw in the sky, which was different than what we see today, and how their stories were allegories not meant to be taken literally. The Saturn theory, in addition to presenting a comprehensive model of ancient myth, offers a radically different approach to understanding the recent history of the solar system.1 Briefly summarized, the theory posits that the neighboring planets only recently settled into their current orbits, the Earth formerly being involved in a unique planetary configuration of sorts together with Saturn, Venus, and Mars. As the terrestrial skywatcher looked upwards, he saw a spectacular and awe-inspiring apparition dominating the celestial landscape. At the heart of heaven the massive gas giant Saturn appeared fixed atop the North polar axis, with Venus and Mars set within its center like two concentric orbs (see figure one, where Venus is the green orb and Mars the innermost red orb). The theory holds that the origin of ancient myth and religion—indeed the origin of the primary institutions of civilization itself—is inextricably linked to the appearance and evolutionary history of this unique congregation of planets. How does one go about documenting this extraordinary claim? Extraordinary claims, it is said, require extraordinary evidential support in order to believed. While I believe the Saturn theory can meet this crucial test, it goes without saying that a discussion of the various lines of evidence pointing to the polar configuration would require several volumes in order to make a fully compelling case. In this brief overview I can do no more than offer a small sampling of the relevant evidence. If the truth be known, the Saturn theory suffers from an embarrassment of riches with respect to evidence which supports the central tenets of the theory. Early descriptions of the "sun" and various planets from Mesopotamia and elsewhere describe them as occupying "impossible" positions and moving in a manner which defies astronomical reality (as currently understood, that is). The ancient sun god, for example, is said to "rise" and "set" upon the same sacred mountain. The planet Venus is described as standing at the "heart of heaven" or within the crescent of Sin. Mars is pointed to as a principal agent behind "eclipses" of the ancient sun god.2 While not one of these scenarios is possible given the current order of the solar system, each is consistent with the history of the respective planets in the polar configuration as reconstructed by the Saturnists. Equally widespread are traditions which report that a great monster once eclipsed the sun and brought the world to the brink of destruction. Countless cultures preserve memory of the terrifying time when Venus assumed a comet-like form6, or when a spectacular conjunction of planets dominated the celestial landscape.7 Such traditions can be documented from one culture to another and, upon systematic analysis, reveal numerous analogous structural details, a telltale sign that they were inspired by common experience of spectacular celestial events rather than creative imagination and fantasy. In addition to the remarkably detailed and consistent testimony from ancient myth and folklore, the artistic record likewise provides compelling evidence that the planets only recently moved on radically different orbits. Consider, for example, the three images depicted in figure two. As I have documented8, such images are ubiquitous in the prehistoric rock art of every inhabited continent. Hitherto they have been interpreted as drawings of the Sun by virtually all leading authorities on ancient art and religion, this despite the fact that they do not have any obvious resemblance to the current solar orb. It is noteworthy that the ancient sun-god was depicted in the very same manner by the earliest civilizations in Egypt and Mesopotamia. Figure three, for example, shows an Akkadian seal in which the Shamash disc is represented as an "eye-like" object, as in the first image in figure two. Figure four shows the Shamash disc as an eight-pointed star or wheel. Figure five shows the Shamash disc as an eight-petalled flower. Numerous other variations upon these common themes could be provided, all impossible to reconcile with the appearance of the current solar orb. It is at this point that the researcher is presented with a theoretical dilemma, the successful resolution of which promises to unlock the secrets of our prehistoric history. 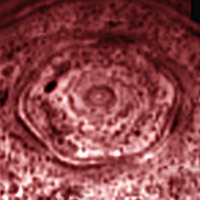 If one chooses to dismiss the specific and consistent imagery associated with these ancient solar images as the product of creative imagination—the typical approach of conventional art historians—one is also forced to dismiss the equally widespread testimony that different suns prevailed in ancient times. This approach has little to recommend it, for it involves nothing less than turning a deaf ear to the testimony of our ancestors and, in any case, has thus far produced precious few insights into the origin of ancient symbolism. The alternative is equally unthinkable, for it involves accepting these endlessly repeated images as accurate drawings of the ancient "sun", albeit one different in nature and appearance than that currently prevailing. As bizarre as this possibility appears at first glance, it does have much to recommend it. The ancient Babylonians were careful to distinguish Shamash from the current sun, identifying the god with the distant planet Saturn.9 It was this little-known datum which led Velikovsky to consider the possibility that Saturn formerly appeared more prominent, perhaps even serving as a sun-like object for the satellite Earth.10 Velikovsky's seminal insight, in turn, served as the theoretical foundation for the subsequent researches of Talbott, Cardona, Rose, Tresman, Newgrosh, and others who succeeded in documenting the basic claim that Saturn once dominated the heavens, a fact reflected in the otherwise puzzling prominence accorded this planet in the earliest pantheons. Further support for the alternative "Saturn theory" comes upon considering the representation of the planet Venus in ancient art. A straightforward interpretation of the various images superimposed upon the "solar" disc in figure two would understand the first as an "eye"; the second as an eight-spoked wheel or "star"; and the third as an eight-petalled flower. Now it is a remarkable fact that the planet Venus is consistently associated with these very forms from one ancient culture to another. The ancient Sumerians, for example, represented Venus (as Inanna) as an eye-goddess, eight-pointed star, and eight-petalled flower or rosette. Consider the figurine represented in figure six, one of thousands discovered by Max Mallowan during his excavations of the Inanna-precinct at Uruk. Similar "eye-goddesses" have been found throughout the ancient world, from Neolithic Europe to India. Figure seven shows an early cylinder seal from the Jemdet Nasr period (c. 3000 BCE), depicting Inanna as an "eye-goddess" alongside her familiar eight-petalled rosette. The very same images are prominent in the sacred iconography surrounding the Akkadian Ishtar. Thus, figure eight shows Ishtar/Venus together with an eight-spoked wheel, while figure nine shows Ishtar/Venus together with an eight-pointed star. Figure ten shows Ishtar in conjunction with a rosette-like star. How are we to explain this curious state of affairs whereby Venus is associated with the very symbols seemingly depicted in prehistoric "sun"-images? Surely not by reference to the current solar system, for Venus does not even vaguely resemble an "eye," eight-pointed "star," or "flower." Yet if Venus only recently appeared superimposed against the backdrop of Saturn/Shamash, as per the reconstruction offered by Talbott and myself in figure one, the mystery is explained at once. Subsequently, upon further evolution of the polar configuration, Venus assumed a radiant appearance, sending forth streamers across the face of the ancient sun-god (see figure eleven). This situation is reflected in the latter two images in figure three. (cont). At the turn of the century it was widely held that the central themes of the most ancient myths, telling of the Creation, Deluge, Golden Age, Dragon combat, etc. were all "nature" myths describing the stereotypical behavior of the two primary celestial bodies, typically in allegorical or euhemeristic fashion.12 The Saturn theory offers a very similar conclusion, with the all-important proviso that the planets formerly dominated the celestial landscape—and the ancients' consciousness—rather than the current Sun and Moon. As the Skidi traditions attest, the planet Mars played a prominent role in ancient myth and religion. Wherever one looks, one will find the red planet accorded a numinous power seemingly out of proportion to its present modest appearance. The Sumerian war-god Nergal, early on identified with the planet Mars, forms a pivotal figure in comparative analysis. Thus, it can be shown that war-gods and warrior-heroes from every corner of the globe share numerous characteristics in common with the Sumerian god, including some of a strikingly specific nature.15 To take but one mythical theme of hundreds available: The Makirtare Indians of the Amazonian rain forest tell of the time when the hero Ahishama, identified with the red planet, climbed a giant stairway to the sky.16 The fact that a very similar story was related of Nergal in ancient Mesopotamia17 suggests that the mythical theme originated in objective historical events involving the red planet.18 Yet one looks in vain for a satisfactory explanation of this particular mythical theme given the current order of the solar system, wherein a celestial stairway is not to be found. Neolithic rock art, however, offers countless examples of "stairway"-like appendages extending from the ancient sun god, thereby complementing and helping to illuminate the universal myth of a luminous stairway spanning the heavens (See figure twelve). If we are to be faithful to the evidence, the most logical conclusion is that the stairway to heaven was a visible apparition associated with the ancient sun god during a particular phase of the polar configuration. In an attempt to develop a rigorous scientific methodology for the study of ancient myth, the Saturnists would offer a series of basic groundrules deemed to be essential if researchers are to discover the original significance and fundamental message of ancient mythical traditions. First and foremost, perhaps, is the general proposition that ancient myth constitutes an invaluable and generally trustworthy source for reconstructing a valid history of our solar system. Far from being a leap of faith, this fundamental finding of the Saturn theory derives from several decades of extensive research into ancient myth and can be demonstrated using the normal methods of logic and evidence. A second basic tenet would emphasize the comparative method. Simply stated, no ancient myth or primary cultural institution is fully understandable in isolation. Egyptian myth, to take but one example, is essentially incomprehensible apart from detailed analysis of analogous themes and motifs from ancient Mesopotamia and the New World, both of which provide the indispensable link to the early astronomical traditions that are all but lost in Egypt itself (Horus's identification with the Morning Star and Mars offers a notable exception in this regard and forms a close analogue to the Pawnee traditions surrounding the red planet). Hathor's identification with the "Eye of Ra," for example, can only be understood by reference to the widespread idea whereby Venus once formed the central "eye" of the ancient sun god. Note further that Hathor's name, which signifies "House of Horus," captures perfectly the essence of the relationship of Venus and Mars as illustrated in figure one. The planet-goddess Hathor, as the "Eye of Ra," literally housed the warrior Horus. A fourth basic tenet of the Saturn theory holds that historical evidence together with consistent (or widespread) human testimony must be given credence, even if a ready explanation of such testimony is not immediately obvious or appears to contradict current scientific opinion. Velikovsky's admonition in the preface to Worlds in Collision serves as a rallying cry here: "If, occasionally, historical evidence does not square with formulated laws, it should be remembered that a law is but a deduction from experience and experiment, and therefore laws must conform with historical facts, not facts with laws." The famous controversy over the likelihood that rocks (meteors) could fall from the sky, a possibility denied by several of the best minds of the 18th and 19th centuries, might well serve as a prototype here. Formerly dismissed as too ridiculous to merit serious discussion, the fact that meteorites occasionally fall to Earth from heaven was perfectly well known to the ancient Sumerians. All but lost for several millennia, such knowledge is once again commonplace amongst schoolboys everywhere. Equally instructive is the on-going controversy over the possibility that rocks from Mars could somehow find their way to the Earth, fervently denied by various leading authorities until quite recently (c. 1987). The eventual triumph of the Martian meteorite hypothesis is yet another classic example of the leading paradigms of the modern scientific Age being instantly overturned by a series of anomalous findings.21 Such examples could be multiplied ad infinitum. Science, much like religion, proves to be notoriously malleable in this regard: What is considered impossible or fantastic by one generation might well come to be accepted by future generations unencumbered by similar prejudices. A fifth basic tenet of the Saturn theory holds that recurring anomalies in ancient myth and tradition offer a key to discovery. Certainly it is most unlikely that one culture would invent traditions of fire-breathing dragons (or witches) that once threatened to eclipse the ancient sun god. Yet one finds the very same improbable motif from one ancient culture to another, yet another sure indication that common experience of spectacular celestial events holds the key to a scientific analysis of ancient mythical traditions. A sixth central tenet of the Saturn theory holds that the history and evolution of the polar configuration constitutes nothing less than the history of the gods. The "birth" of the warrior-hero, the war-like rampage of the mother goddess, the "death" or "eclipse" of the primeval sun god—and a thousand different themes alike—all have their inspiration in the spectacular events associated with the evolution of the polar configuration. A seventh basic tenet of the Saturn theory holds that future discoveries vis a vis the geology and geomorphology of the respective planets will act to either support or deny the model. For it stands to reason that, if the extraordinary events described here have any basis in reality, such events must have left an indelible mark on the planets that participated in the polar configuration. It is also expected that some of these telltale signs of participation in the polar configuration will prove to be difficult, if not impossible, to explain by any other model. The most obvious objection to the Saturn theory is its apparent incompatibility with conventional astrophysics. This is indeed a formidable objection, one deserving of serious attention and, ultimately, a valid answer, ideally in terms of offering a viable physical model for the polar configuration. While promising steps towards achieving a viable physical model have been achieved (the models of Thornhill and Peratt, for example), much work remains to be done in this area, preferably by scientists trained in the requisite fields of astronomy, physics, and mechanics. Personally, I remain confident that an answer will be found if for no other reason than that it is highly improbable that a theory with so much historical evidence in its favor could prove entirely illusory. If the history of science teaches us anything, it is that there is ample precedent for reserving judgment on an historical thesis well supported by evidence but lacking a viable physical model. Darwin's theory of evolution, to take a particularly notorious example, languished for decades under the objection that it lacked a viable model of heredity which could explain how the much needed genetic changes could originate and come to be fixed (rather than blended, as per earlier models of heredity). Already by the time of Darwin, there was a wealth of evidence that evolution had occurred—how else are we to explain the fact that modern whales occasionally show traces of vestigial hind limbs and hip girdles?—but a viable model of heredity was not yet at hand, to say nothing of a chemical model for genetic mutation or embryonic differentiation. Even today, well over a hundred years later, many of the most fundamental questions surrounding the biochemical mechanisms of evolution remain unanswerable. We still have little understanding of how the various phyla originated or why some species proved successful while others became extinct. In the meantime, however, while modern biology awaits a solution to these truly perplexing and formidable mysteries, no informed scientist can doubt the historical reality that biological evolution has occurred. The question is how did life evolve and by what precise means? A similar situation surrounds the Saturn theory, in my opinion. Here, too, the historical evidence is unequivocal that various planets once participated in a polar configuration and wrecked havoc with the inner solar system. The question is how we are to understand this history from the standpoint of physics? 1. While I would not presume to speak for David Talbott or Dwardu Cardona, the two senior pioneers in this field of study, it is nevertheless the case that the three of us share similar viewpoints in many respects. 2. For a thorough discussion of these issues, see E. Cochrane, Martian Metamorphoses (Ames, 1997). 3. This word, coined by Samuel Butler, describes the propensity of some to stick their heads in the sand in order to ignore the obvious. 4. C. Burland, The Gods of Mexico (New York, 1967), p. 140. 5. D. Goetz & S. Morley, Popol Vuh (Norman, 1972), p. 188. 6. I. Velikovsky, Worlds in Collision (New York, 1950), pp. 162-191; D. Talbott, "The Comet Venus," Aeon 3:5 (1994), pp. 5-51; D. Cardona, "Cometary Venus," in D. Pearlman ed., Stephen J. Gould and Immanuel Velikovsky (Forest Hills, 1996), pp. 442-466; E. Cochrane, "On Comets and Kings," Aeon 2:1 (1989), pp. 53-75. 7. See the discussion in D. Pankenier, "The Bamboo Annals Revisited…Chronology of Early Zhou, Part 1," BSOAS 55 (1992), p. 281. 8. E. Cochrane, "Suns and Planets in Neolithic Rock Art," Aeon 3:2 (1993), pp. 51-63; see also the discussion in E. Cochrane, "Venus, Mars…and Saturn," Chronology and Catastrophism Review (1998:2), pp. 16-20. 9. Already common knowledge by the time of the astronomical reports sent to Assurbanipal and other Assyrian kings (c. 700 BCE), the identification of Saturn and Shamash likely goes back to the first systematic attempts at monitoring the heavens. See here the discussion in U. Koch-Westenholz, Mesopotamian Astrology (Copenhagen, 1995), pp. 122-123. 10. I. Velikovsky, Mankind in Amnesia (Garden City, 1982), pp. 99ff. 11. E. Cochrane, "Suns and Planets in Neolithic Rock Art," Aeon 3:2 (1993), pp. 51-63. 12. The so-called solar school of mythology championed by F.M. Muller and others. 13. J. Murie, "Ceremonies of the Pawnee," Smithsonian Contributions to Anthropology 27 (Cambridge, 1981), p. 39. 15. See E. Cochrane, Martian Metamorphoses: The Planet Mars in Ancient Myth and Religion (Ames, 1997). 16. M. de. Civrieux, Watunna: An Orinoco Creation Cycle (San Francisco, 1980), pp. 113-114. 17. S. Dalley, Myths from Mesopotamia (Oxford, 1991), p. 171. See also the discussion in E. von Weiher, Der babylonische Gott Nergal (Berlin, 1971), p. 52; J. V. Wilson, The Rebel Lands (London, 1979) p. 98; and O. Gurney, "The Sultantepe Tablets," Anatolian Studies 10 (1960), pp. 125, 130. 18. E. Cochrane, "The Stairway to Heaven," Aeon 5:1 (1997), pp. 69-78. 19. See, for example, the numerous rites involving the symbolic ascent of the polar axis or World Tree in M. Eliade, Shamanism (Princeton, 1964), pp. 487-494. 20. E. Cochrane, "The Female Star," Aeon 5:3 (1998), pp. 49-64. 21. See the discussion in E. Cochrane, "Martian Meteorites in Ancient Myth and Modern Science," Aeon 4:2 (1995), pp. 57-73. To download a PDF file of this article, click here. Why did the first astronomers celebrate the planet Saturn as the first supreme god? Why did ancient people sacrifice their children to Saturn? Why was the original Sabbath, the most sacred day of the week, named after Saturn? Why did ancient nations invoke Saturn as the primeval "sun?" Why did early astronomies declare that Saturn ruled from the celestial pole? Why do so many modern religions carry remnants of Saturn worship? Working from a uniquely holistic viewpoint, David Talbott uncovered an amazing story of beauty and terror in ancient times, when the planet Saturn dominated the sky. The psychological wake of this remarkable epoch deeply influenced humanity across several millennia, and countless symbols of this experience surround us even today. The Golden Age followed by Doomsday is a universal memory. Was a time of paradise, known by various names around the world, such as the Garden of Eden or the Isle of Avalon, a historical fact? Did the Golden Age come to a violent end? Could a collective memory of a once literal paradise account for our deep yearning for a better life—a life our ancient ancestors once lived? Saturn as the once great primordial sun and universal monarch—a huge but stationary body in the sky. The Celestial Dragon, or Serpent, who attacks the world. What was this biologically impossible monster that was remembered by virtually every culture? Was this dragon moving in the sky a fantasy or a mass hallucination? The Mother Goddess who appeared in the sky in both a beautiful and frightening form. Why was she associated with the planet Venus by people in all parts of the globe? The Warrior-Hero who slays the dragon and carries off the beautiful princess. Why did so many ancient cultures identify the warrior-hero with the planet Mars? When scholars confront ancient writings that don’t make sense in the world that we experience today, they reserve comment and move on to other "more fruitful" areas of study. That is why the meaning of the ancient Egyptian pyramid texts and other early writings remain a mystery. This research applies new principles of inquiry that yield reliable results, even when the evidence appears nonsensical if viewed in isolation. See Research Method for the principles of reasoning employed in the research. Curiously, these two themes appear to be inseparably connected. Numerous accounts imply that the world-destroying catastrophe brought a golden age, or paradise on earth, to a violent conclusion. In the general tradition, the age of the gods began with a period of cosmic harmony, a timeless epoch, or eternal spring—an age of peace and plenty, marked by the absence of human labor or suffering. Examples include the Greek Golden Age of Kronos, the Chinese Age of Perfect Virtue, the Hindu Krita Yuga, the Scandinavian Peace of Frodhi, the Egyptian Tep Zepi, the first time or golden age of Ra, and the Sumerian days of An, the days of abundance. In virtually all of the general traditions, the paradisal epoch ends in sweeping disaster as the heavens fall out of control. A global tradition recalls an exemplary king ruling in the sky before kings ever ruled on earth. This mythical figure appears as the first in the line of kings, the father of kings, the model of the good king. But this same figure is commonly remembered as the central luminary of the sky, often a central sun, unmoving sun, or superior sun ruling before the present sun. And most curiously, with the rise of astronomy, this celestial "king" was identified as the planet Saturn. The celestial king who was associated with the planet Saturn was also known as the Egyptian Atum-Ra, the Sumerian An, the Hebrew and Canaanite El, the Norse Frodhi, the Greek Kronos and the Latin Saturn. Yet nothing in the appearance of the planet today will account for the extraordinary attributes of these gods. It appears on the surface that ancient peoples attributed great qualities of majesty and power to a tiny speck in the sky. It is no wonder that this puzzling phenomenon has been dismissed as an amusing artifact of the primitive mind. We believe that this puzzle holds a mystery whose solution will change forever our understanding of human history and the evolution of the solar system. On every habitable continent, ancient races remembered a "chaos monster" raging in the sky and threatening to destroy the world. Most frequently, this monster is presented as a biologically impossible cosmic serpent or dragon. Egyptian Uraeus serpent. Babylonian dragon Tiamat. Greek serpent Typhon. Norse Midgard serpent. Feathered serpent. Long-haired serpent. Bearded serpent. Fiery, or fire-breathing serpent. In virtually every ancient culture these are the hieroglyphs for one phenomenon only: a comet. Of the five visible planets, ancient astronomers associate only one with the great mother. That planet is Venus. The following goddess figures are also associated with the planet Venus: the Sumerian Inanna, the Babylonian Ishtar, the Canaanite Anath, the Egyptian Isis, Hathor, and Sekhmet, the Scandinavian Freya, the Greek Aphrodite, and the Latin Venus. Equally mysterious are the global memories of a celestial warrior or hero defeating powers of chaos in ancient times. Remarkably similar memories occur in both the Old World and the New. In many later cultures the hero looks very much like a human being and his feats are accomplished on a regional landscape. But in the earliest versions of the story, the figure is entirely cosmic, and numerous traditions identify the warrior as a planet, the planet Mars. Warrior figures associated with the planet Mars include the Egyptian Shu-Anhur, the Babylonian Nergal and Irra, the Greek Ares and the Latin Mars, the Australian Waiungari, and Pawnee Morning Star. This is the Hercules archetype. Greek astronomers, for example, alternately designated the planet Mars as the warrior Ares or the warrior Hercules. What is there about the little planet that might have prompted the idea of a great warrior wielding weapons of thunder, fire, and stone? Read breaking news about an alternative Electric Universe explanation of recent news items. Website of Anthony Peratt, author of Physics of the Plasma Universe. "You can't vote on the truth." No matter how many people believe something, if the observations prove it wrong, it is wrong. Arp presents the observations that show the Big Bang theory is wrong. A professor of electrical engineering gives his view of how stars really work. The THOTH Newsletter is available free of charge to anyone with an interest in the expanding discussion of the Saturn Model or the Electric Universe. Ev Cochrane's development of a unified theory of myth and science—the so-called Saturn theory. The Saturn theory has profound and wide-ranging ramifications for a host of scientific disciplines, including astronomy, planetary geology, psychology, comparative religion, and linguistics among others. Ev is publisher and co-editor (together with Dwardu Cardona) of the journal called Aeon. AEON is a journal of myth, science, and ancient history specializing in archaeoastronomy and comparative mythology. The journal explores the evidence for global catastrophes and interplanetary upheaval in the recent past. It has particular significance for cosmogony and the Electric Universe. Skepticism is necessary and healthy, and we would be foolish tobelieve everything we are told. But genuine skepticism is about open-minded enquiry, not denial. This new website presents an investigation into the true meaning of Skepticism in Science. From the second half of the 20th century, cosmologists and geophysicists have made great advances in modelling the electromagnetic environment of the earth in response to the solarwind and other external features impinging on the earth, such as Near-Earth Objects (NEOs) and, far less frequently, cometary intruders into the inner solar system. Our purpose is to consider how knowledge of this kind might aid our understanding of traditional ideas about cosmology and the recent history of the earth, as documented in the history of astronomy, archaeoastronomy and certain classes of mythology and ancient ritual. Author of Seven Experiments That Could Change the World: A Do-It Yourself Guide to Revolutionary Science. "Science in its ideology sees itself as doing a fearless exploration of the unknown. Most of the time it is a fearful exploration of the almost known." A return to a classical physics approach to the nature of magnetism and gravity and their relationship to the electrical structure of matter. Now for an alternative statement to this theory. At a June 1999 catastrophism conference, hosted by Professor Emilio Spedicato at the University of Bergamo in Italy, numerous scholars from diverse fields of study addressed the gathering. Alan Alford, author of Gods Of The New Millennium, for example, gave a lecture on the Nefilim and Anunnaki. Flavio Barbiero (Centro Camuno di Studi Preistorici, Capodiponte, Italia) discussed the possibility that Antarctica could have been the Lost Atlantis. "Abstracts" of each lecture were printed in a program guide, distributed upon registration for the conference. Here is the "abstract" of the lecture given by David Talbott, who is a Kronian Velikovskian "revisionist" and self-appointed expert successor to Dr. Immanuel Velikovsky in terms of "The Saturn Theory" about which David produced a videotape called Remembering The End Of The World. I find it most interesting that David Talbott addressed this conference, but unfortunately he is terribly wrong when he refers to this "planetary object" as Saturn -- yet "in general" I think that he makes some very good points in this summary of his lecture. When you read this "abstract", think Planet X Nibiru or Cosmic Tree or Night Sun, not the Planet Saturn. Certain themes of myth occur on every continent. One universal tradition concerns a former Golden Age, a period of cosmic harmony subsequently lost. In the general tradition, the Golden Age means a timeless epoch before the arrival of discord and war, before the linkage of heaven and earth was broken. Many traditions recall the absence of seasons or any time-keeping references, while the land produced abundantly without any need for human labor. This is a distinctive myth, with crucial connections to other themes. Why did all of the early cultures connect to the Golden Age with the rule of a "king of the world" -- a prototype of kings ruling in the sky before a king ever ruled on earth? And why the early astronomical link of this figure to the remote planet Saturn? Another tradition recalls a "world-ending" disaster, when the Golden Age collapsed and the heavens fell out of control. The specific forms of the catastrophe vary. A rain of fire and gravel, as in the cataclysms of Ragnarok. A great deluge. The death or displacement of a primeval sun. A cloud of chaos demons enshrouding the world in darkness. Or the spiraling serpent or dragon, whose attack throws the heavens into chaos. But where are the events in our familiar world that can illuminate the repeated stories? A comparative approach will establish that the subject is not a local disaster. Specifically, this archetypal catastrophe -- an event whose re-occurrence ancient races feared above all else -- was that which brought the Golden Age to its violent conclusion. The origins of ancient mythology; the birth of the first civilizations; a violent history of the solar system -- these are the primary themes of the "Saturn Theory", a new way of viewing the myth-making epoch as a whole, based on cross-cultural analysis. Astronomers and astrophysicists, historians, anthropologists, archaeologists, and students of ancient myth and religion should reconsider the most common assumptions about ancient history. 1. Major changes in the planetary order, some involving Earth-threatening catastrophes, have occurred within human memory. 2. Through myth, ritual and symbol around the world, our ancestors preserved a global record of these tumultuous events. 3. The first civilizations arose from ritual practices honoring, imitating, and re-living extraordinary natural occurrences. 4. The dominant powers of the ancient rites were planets moving close to the earth. The planetary model we offer carries one advantage which other theories based on ancient testimony lack. It is specific enough to be falsified on its own ground (ancient testimony). We will propose some simple ground rules permitting researchers to test the hypothesis and draw reliable conclusions. "The Golden Age" ended on 15 June 762 BCE with the departure sequence of "the gods" for their winter's hibernation at the Oort Cloud. As I have written elsewhere, David Talbott does not believe in the existence of the Planet X Nibiru because he does not believe in the attendant idea of "ancient astronauts"; and ultimately that is why he cannot see the hidden truth of The Cosmic Tree. Within the framework of the overall Velikovskian School, moreover, David Talbott's "theory" is dubious. Dr. Velikovsky explicitly stated that "The Saturn Catastrophe" occurred long before the Israelite Exodus from Egypt and the contemporaneous Santorini Cataclysm, in 1587 BCE. Dr. Velikovsky attributed the cause of this Exodus Catastrophe to "The Birth Of Venus" -- the Planet Jupiter ejected a large ball of gas and fire at high speed, and this "comet-like" object grazed the Earth before finally solidifying and stabilizing into its current orbit as the Planet Venus. Well, if Venus did not exist before 1587 BCE, then how could Venus be included in computer animations of "The Saturn Theory" which predated it? It is inherently illogical, and I am surprised that David Talbott didn't realize that "anomaly" before going to the trouble and expense of producing his slick videotape with all its glitzy computer animations. I noticed his little "chronological discrepancy" immediately. ahhhh here are my beloved "electric universe" guys!! i haven't gone deep into the saturn theory, but i have absolutely no problem in imagining that the ancient sky was very different from the one we see today, and that our ancestors witnessed awe-inspiring celestial and electric phenomena only a few thousands years ago... i think that velikovsky was on the right track, with his intuitions about the connection between ancient myths and planetary interactions, and that talbott & thornhill are continuing his work in a marvelous way. awakensong have you already seen the "thunderbolts of the gods" video? p.s. the youtube video in your sig is amazing... is it part of a longer one? Runciter, thanks for posting here to talk about this. Yes, when I first heard Talbott and Thornhill on a radio interview about a year and a half ago, I recorded the program and purchased their book and DVD set. I think the YouTube in my sig is part of the long DVD "Thunderbots of the Gods". What they said in their radio interview was that Velikovsky's ideas were correct, it was just that, to them, his timing was off. I really appreciate all the work they are doing on this, and of course, it will get no attention from mainstream science or media. It's up to the rest of us to help make it known. They are so very open to refining it and they welcome all challenges and sources of knowledge. They don't seem at all threatened by any of it. I'm interested to know their responses, if any so far, to the Solarian challenge. His idea about Nibiru instead of Saturn being the ancient Sun, makes the most sense to me so far. I've joined the thunderbolts forum to see what they've said about it. "Here we have the cross of matter and the crescent of soul, with the cross very much on top and dominating. The soul is under the control of matter. How fitting for Saturn, the ruler of form and often considered the major malefic." but this symbol was probably chosen after the "god star" was gone. 17:8 · As an old Italic deity of sowing and harvest, Saturn became the Roman god of agriculture, gardening and vineyard cultivation. He was also a benefactor of humankind, a promoter of prosperity, and good manners and customs. He seems to have been portrayed as an old man with a sickle and a pruning knife in his hands. It is probably from that way to portray Saturn we have our image of personified Death, the old man with a sickle. And it is probably also this Saturn who is a distant model for our Father Christmas, interested in children's manners and good behaviour. During the Roman Empire's first centuries Saturnalia were celebrated, that is the midwinter festivals of Saturn, a period of unrestrained merriment in the celebration of the winter solstice. Slaves were temporarily given their freedom and were serviced by their masters. All enmity and animosity was forgotten, and all punishments were postponed. The corresponding festivities in Greece were called Chronia. The sign for the Roman god Saturn might have been , which in turn could be a stylization of the Greek sign for the planet Chronos personified, . Be that as it may, , and in print, are the most common forms of signs for the planet Saturn, although the variation was common in older days. The planet Saturn was known already some 6,000 years ago and has, until the French Revolution at the end of the eighteenth century, represented the outermost boundary of the planetary system, and a measure when calculating long periods of time. The planet Saturn uses approximately 29 earth years to orbit the sun. Therefore a human lifespan can be said to be two, or at the very most three of this planet's orbits in the zodiac. Partly for this reason Saturn is associated with Death and the Reaper, the skeleton in black hood with a scythe who reaps men and women when their time is up. Like Jupiter Saturn radiates about three times the energy it receives from the sun, and has ten big and at least seven smaller moons. Thus Saturn and its moons like Jupiter and its moons is a planetary system of its own within the sun system. it reminds me of a "th", it might be linked to thoth... or seth. Last edited by runciter; 04-09-2008 at 02:31 PM. His idea about Nibiru instead of Saturn being the ancient Sun, makes the most sense to me so far. Good thread will comment when i have read thru it thanks . Both the Saturn Myth and the Nibiru issue are based on misinterpretation of the very basics of myths, namely the Myth of Creation which is closely connectedto the Milky Way and its formation.